Carmel, IN Location Opening August 5th! 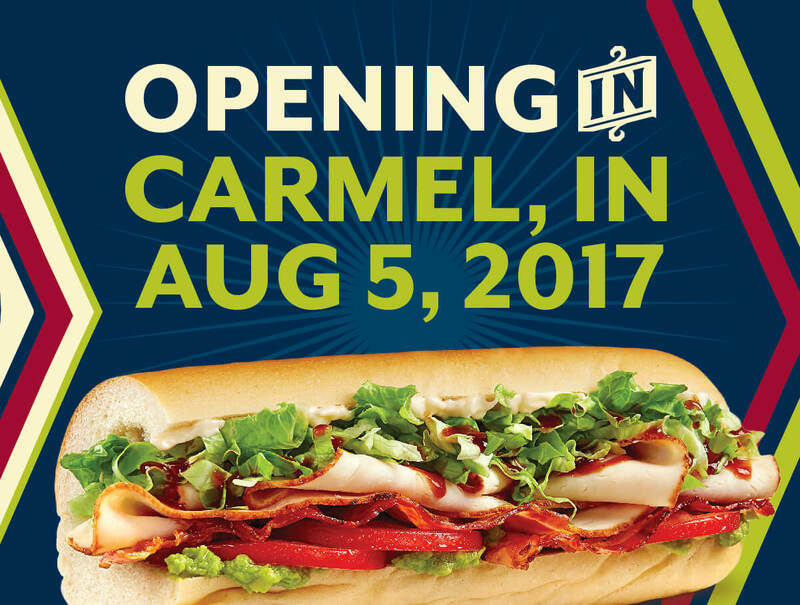 FLAVOR LIKE WHOA IS COMING TO CARMEL, INDIANA! 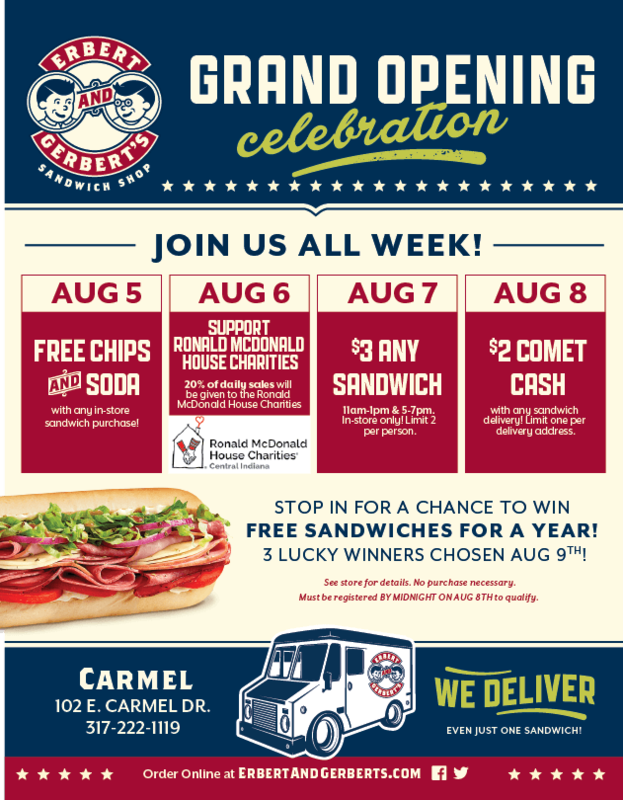 The newest Erbert & Gerbert’s Sandwich Shop is opening their doors at 102 E. CARMEL DR. IN CARMEL, INDIANA on Saturday August 5th! Join in on the Grand Opening Celebration deals from August 5th – August 8th and stop in for a chance to win FREE SANDWICHES FOR A YEAR, with 3 lucky winners chosen August 9th. Cant wait to see you there! We deliver, even just one sandwich!! So give us a call at 317-222-1119 OR click here to order online now!